You can tell by the number of music-related articles on our blog that it’s one of our favorite topics. 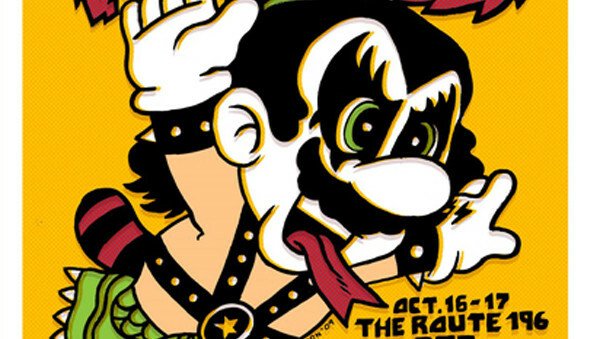 It’s not unusual for graphic designers to have a few gig posters included in their portfolios. We scoured the internet for designers with awesome work, and found one whose posters we admire. 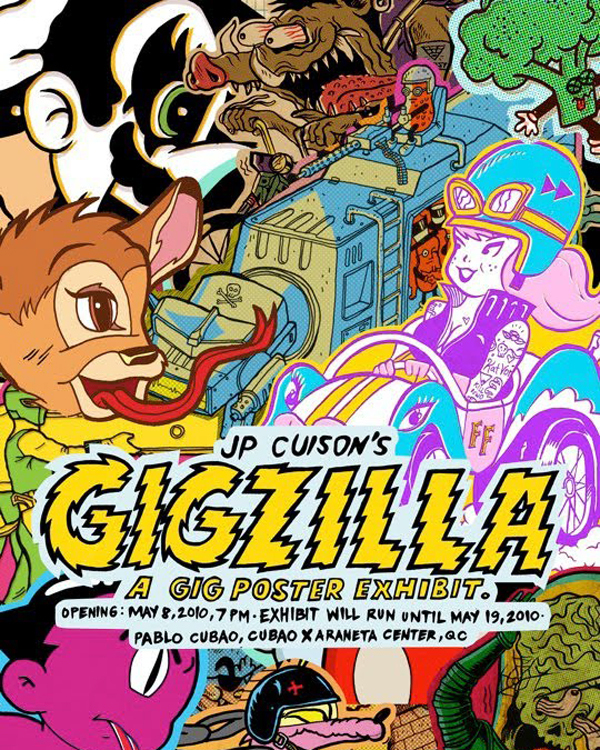 We interviewed JP Cuison – ad man, artist, and gig poster-maker extraordinaire – from the Philippines and asked him about his influences, habits, and tips for aspiring artists. How did you discover your talent for drawing? I started drawing at a young age because at home, my dad and my 2 sisters also did. I participated in on-the-spot poster making contests in school, and made friends with other participants. Then, I got accepted in the College of Fine Arts at the University of the Philippines, practiced my craft there and got exposed to other art forms. Do you have a full-time job? 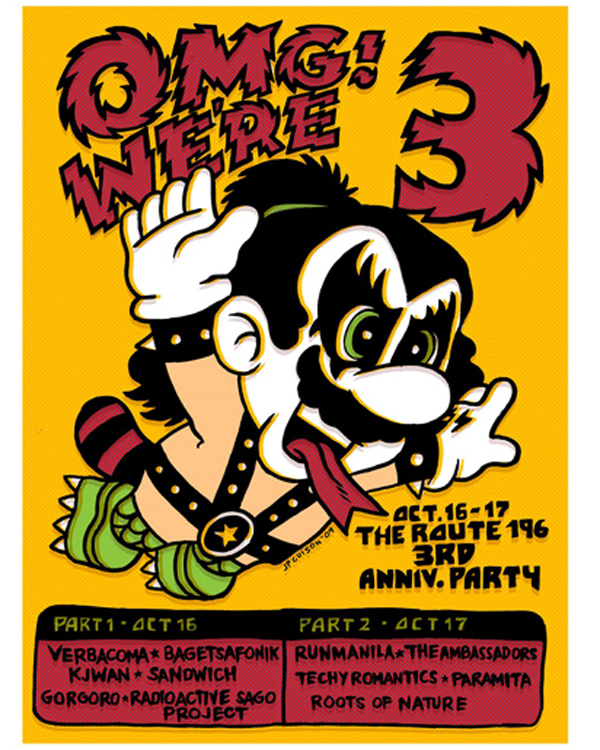 How did you start making gig posters? It all started as an outlet for my pent-up ideas. I’m a Senior Art Director in an ad agency making ads for TV, print, and radio. There are times when limitations to the artistic direction of the projects frustrate me. I looked for a channel for my repressed ideas, where I can be in charge and do anything I want. I thought of other formats for my art. One is graffiti, though it is expensive, illegal, and dangerous. Back then, I was also part of a band so I got to know many organizers, bands, and producers. 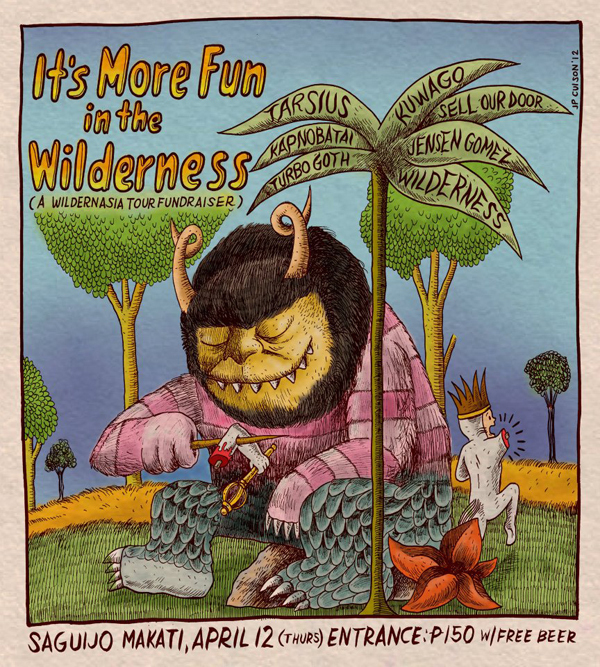 I see gig posters that look hastily-made with a simple image search and generic typography, and it got me thinking; this art form has been around for decades that musicians from the 60s and 70s embraced the format. I called Revolver Productions and asked them if they had upcoming gigs that need posters I can do for free. Eventually, my calls paid-off and I got regular design jobs from producers. I’m currently preparing for my 3rd solo show in October. Like the one before it, there will be a toy launch and exhibit. I’m thinking of using “Kurt Mouse” (in reference to his Mickey Mouse that took a shotgun to the face) this time. Could you tell us more about your first gig poster? 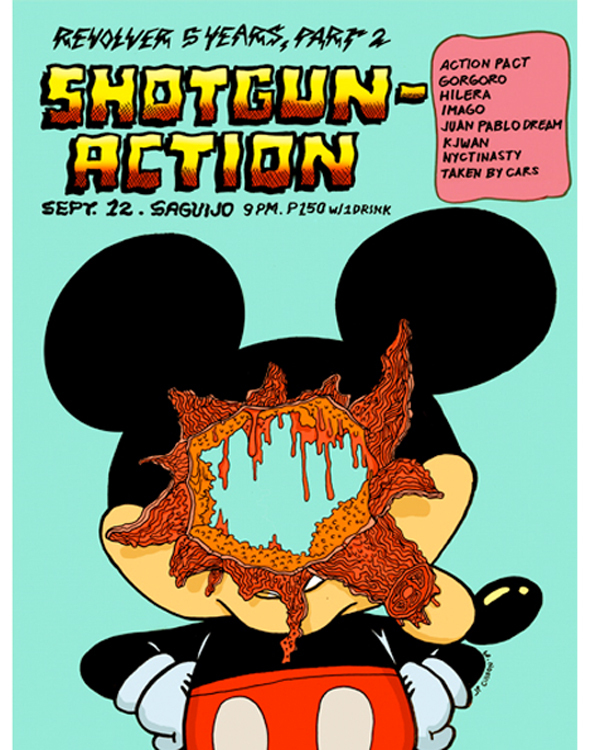 The very first poster I made is for Revolver Productions’ “Shotgun” event. It was memorable because I was depressed and frustrated. Some of my ideas were going down the drain and my client didn’t like them. Drawing was my escape. Revolver Productions just let me do my own thing for the gig posters and album covers assigned to me, asking me about my take on the different concepts. I was glad because unlike in advertising where I have to get a peg for my work, for the production team I served as the peg. My style was the standard. My influences are underground comics that make fun of pop culture icons. I thought of illustrating “what ifs” for my gig posters – what if Mickey Mouse commits suicide, what if Donald Duck gets caught and sold in a Chinese restaurant – things like those. I liked the idea of using Mickey Mouse for the “Shotgun” event so I used him. I can’t really say that pop culture is my main influence for the gig posters. People like Frank Kozik, Ron English, Andy Warhol, and Shepard Fairey are my influences. When it comes to art, pop culture is my favorite topic, just as other artists stick to one subject for their work. Some paint landscapes and portraits; I stick to pop culture and its icons. What tools do you use to make posters? I’m really into old-school gig poster-making. I use pencils, brush pens, and markers. I draw then run the initial sketch on the scanner. When I really like the poster design, I also have it silkscreened. Sometimes, when pressed for time, I rely on digital software like Adobe Photoshop. Which do you prefer: traditional or digital art? I think most people prefer using digital tools for their convenience. The fast turnaround of artwork is appealing, especially for some clients who want their projects done in a week or less. I have nothing against it because it’s what’s easy and fast. I personally prefer traditional art, though. There’s a sense of fulfillment when I think about accomplishing these projects with a technique that’s been used for decades. I limit my use of digital software, and I guess that’s what clients like about my work. Everyone else is doing digital art, and here I am still sticking to traditional methods. How do you manage your time between poster-making and your regular job? Weekends are my vital art-making days. I paint and draw gig posters on Saturdays and Sundays because I really can’t fit painting in an ordinary day. I get home tired from work, and any attempt at art comes out lacking inspiration. 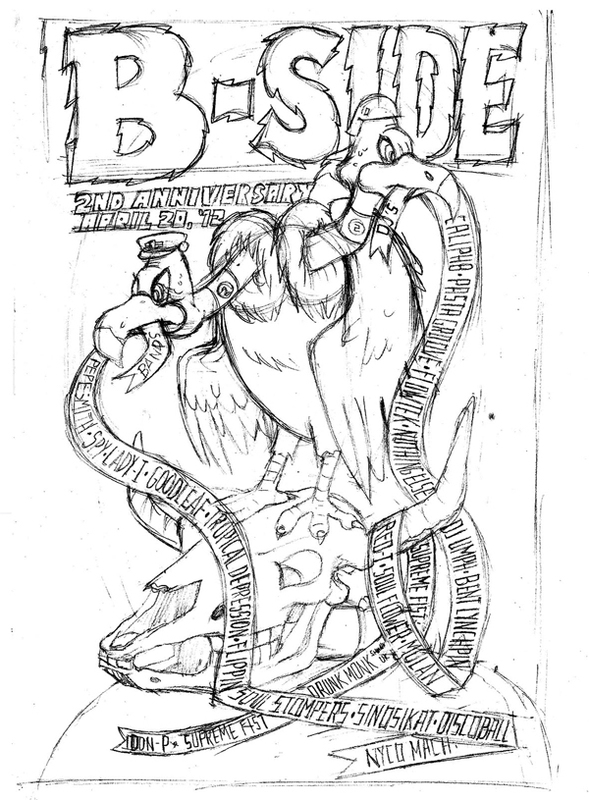 I try to doodle sometimes while at work, and sometimes those doodles turn out to be the initial designs for a gig poster! I spend my weekends painting with acrylics on canvas. I paint regularly these days because it serves as my escape from gig posters. I’ve started looking for other gig poster formats I can use, just to have something new to show. I watch Futurama, Family Guy, American Dad, The Simpsons, and other similar shows that poke fun at pop culture. How do you manage online transactions and contacts? I made an account at gigposters.com and post my artwork there. I receive comments about ordering my prints, though I was wary of replying to those at first. I wasn’t familiar with international shipping rates and other matters about online transactions. Now, though, Atelier Manila handles all international orders for me. Any tips for those who are thinking of pursuing art? Look for other mediums of art. I chose to make gig posters because I felt that the format didn’t get the attention it deserved, so I decided to make it my own and use my own style to make them. Everyone else is all about making things using digital means; go make something that no one has done before. 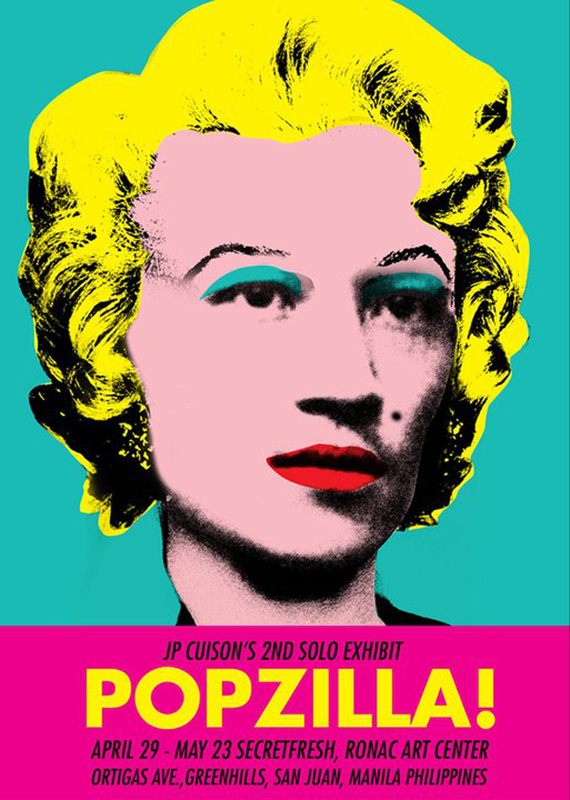 Enjoy more of JP Cuison’s art by visiting his blog. Watch out for more of our artist interviews by following us on Twitter! You can also subscribe to our RSS feed and newsletter for more updates!